These have been floating around the internet world but in case you missed them I thought I would share them. 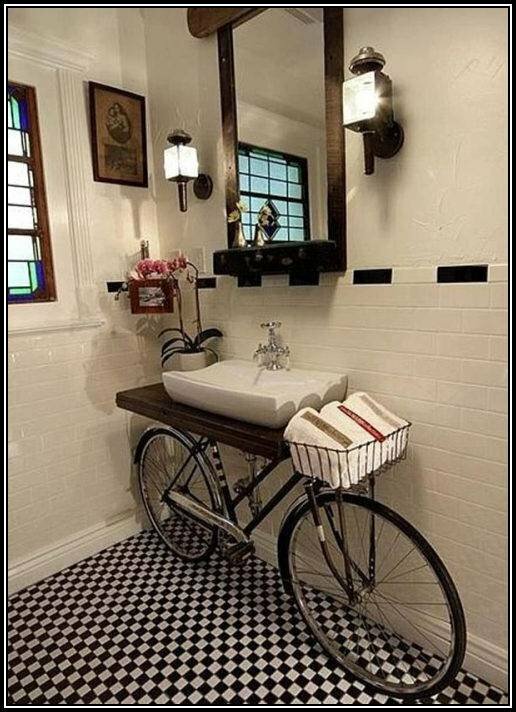 Very clever ideas for re-using items you might already have.The old chair upside down is very interesting but I love the bicycle turned into bathroom sink-especially using the basket for towels! 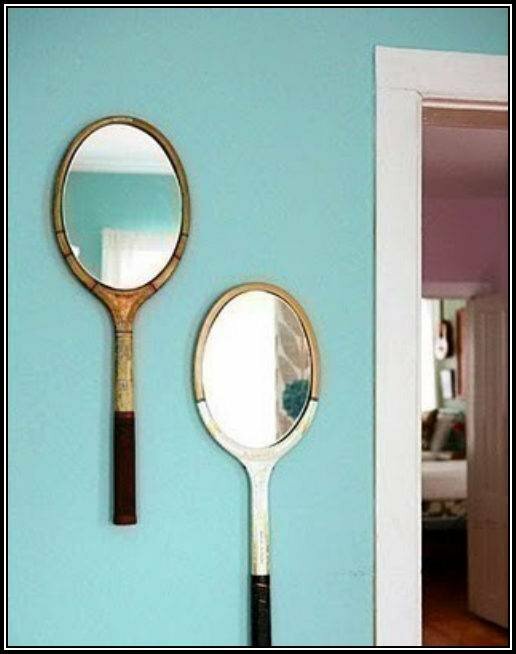 The old tennis racquets turned into mirrors were also very clever(great for a beach house) and what a fun idea for hooks in your mudroom for hanging coats! This entry was posted in art work, interesting ideas, nick nacks, photography, renovations, travel and tagged Home, Home & Garden, Home Improvement, Interior Decor, Interior Design, Shopping, travel. Bookmark the permalink. I completely agree with using items you already have to update a space and make it look new. I am using that concept right now in my bathroom. I have ugly pink tile about halfway up the wall in that room. Instead of tearing out all the tile and making an incredible mess, I am using special tile paint to paint the tiles white. In addition, I am updating our current vanity sink by staining it a dark brown and using counter top paint for a sleeker look. 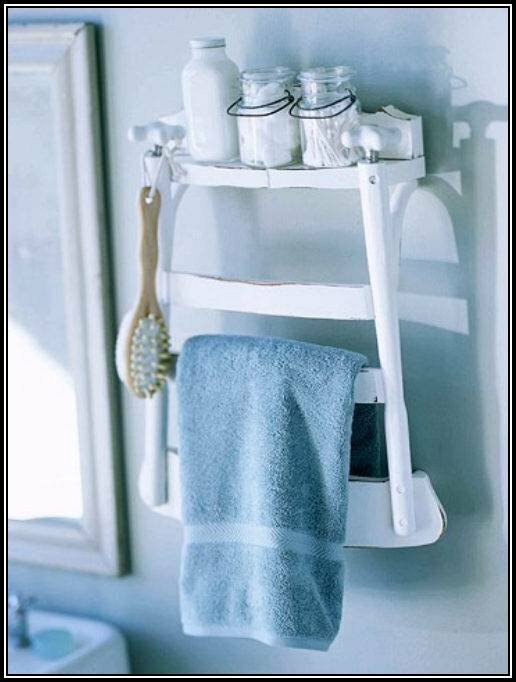 This way is so much better than throwing out something perfectly good that can be transformed into anything you want! Thanks for this post! I love re-using things. My favorite thing is when a client has an old chair that is in their attic or basement and we reupholster it and use it in whatever room we are working on. I also love to move furniture around and reuse it in a new space….so much better than buying new! 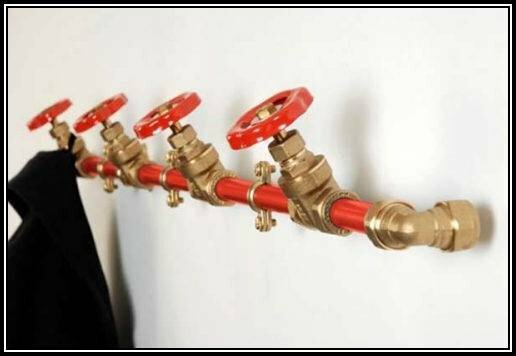 Very good use of the plumbing fittings I like that the best after the bike. Reblogged this on single mom finding great deals.